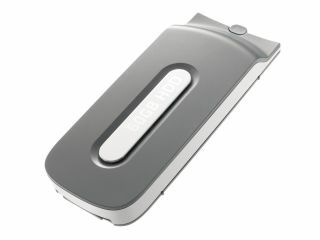 Rumour: Xbox 360 to get one terabyte HDD? A whopping one terabyte hard drive is rumoured to be in development for the next iteration of Microsoft's Xbox 360 console. The increased capacity hard drive is rumoured to be launched at the same time with as Project Natal. It is still unclear whether or not a Natal-equipped Xbox 360 will be released in 2010, with outspoken Microsoft boss Steve Ballmer recently backpedalling and apologising for misleading comments relating to the mooted new console. Industry analysts have identified the limited storage space of the current Xbox 360 range as a major feature holding the tech back right now, particularly with the rapid developments in movies and games on demand services via Xbox Live. "I don't see the timing between new release and digital download being a function of anything other than hard drive sizes," analyst Michale Pachter told GamesIndustry.biz. "I think as soon as we have large hard drives - think the rumoured Project Natal 'new' Xbox 360 with a terabyte of storage in 2010 - we'll have day-and-date downloads." Of course, such rumours have been doing the rounds on forums such as the massively popular NeoGaf for some time now. Yet it is only with the imminent games on demand service set to launch later this summer that they are now gaining traction. Discussing Microsoft's new games on demand offering (due in August) Wedbush Morgan's Michael Pachter also told GI.biz: "While retailers may baulk at the possibility of day-and-date downloads, I don't see too many refusing to carry Microsoft product in retaliation." Pachter adds: "Should a retailer boycott Microsoft, I think that the full force of the publishers would be brought to bear on that retailer, and they would find themselves starved for product." TechRadar has contacted Microsoft UK and a number of leading UK games retailers for further comment.